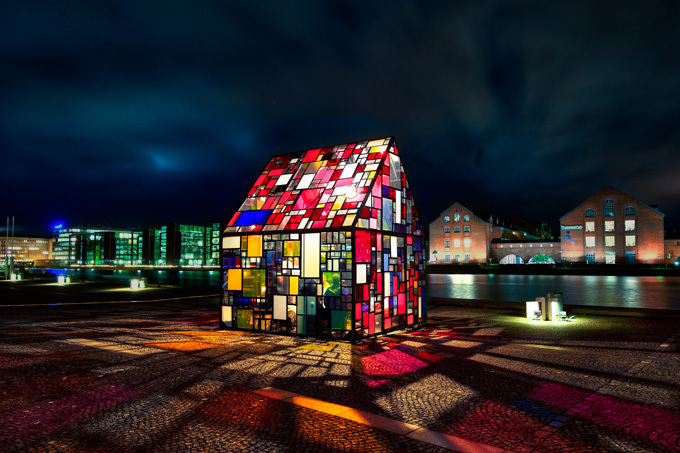 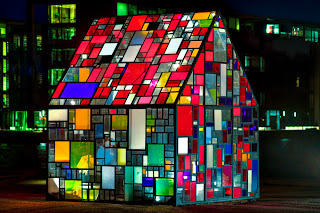 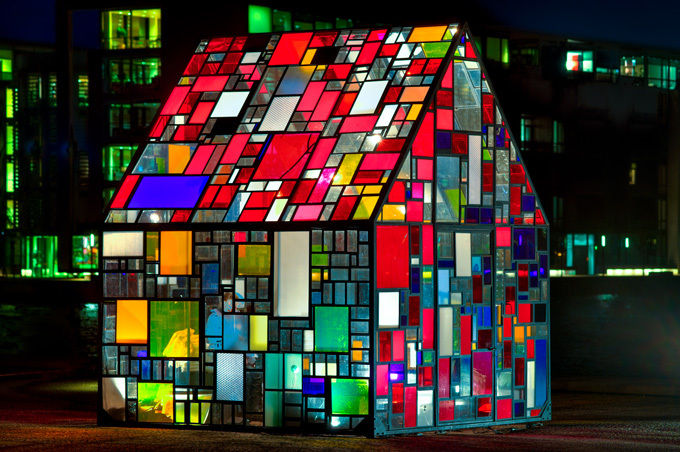 New York artist Tom Fruin’s outdoor sculpture Kolonihavehus in the plaza of the Royal Danish Library in Copenhagen. Fruin’s sculpture is constructed of a thousand reclaimed pieces of plexiglass ranging in size from 2x2 to 24x36 inches. They originate from many sources, including a closed- down plexi distributorship near Copenhagen, a framing shop, the basement of the Danish State Art Workshops, and the dumpsters outside the Danish Architecture Center - nice work Tom! 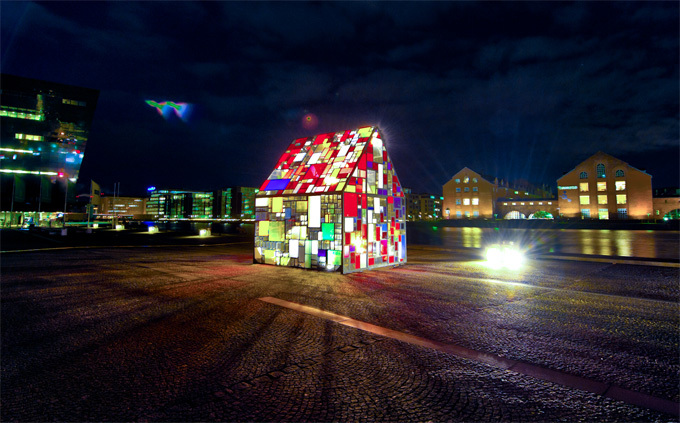 Kolonihavehuses were originally small garden sheds that were designed to give cramped and often impoverished city-dwellers a small plot and a refuge from city life.